In response to the renewal of the Iran Sanctions Act (ISA) by the US Congress, Iran’s President Hassan Rouhani has ordered the Atomic Energy Organization of Iran (AEOI) to start the development of nuclear-powered ships. In a letter published in the Iranian media outlets, the president asked AEOI’s Head Ali Akbar Salehi to work with Iranian scientists and research organizations to plan “the design and production of nuclear propulsion systems to be used in maritime transport” and production of fuel for such nuclear-powered ships. Rouhani also called on his Foreign Minister Javad Zarif to “take legal steps” to challenge the ISA. Rouhani’s announcement will certainly provoke a great deal of concern and uncertainty regarding the future of the 2015 Iran nuclear agreement. 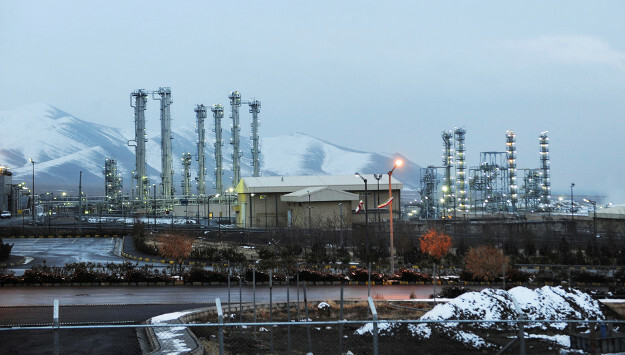 Washington and other world and regional powers will consider such a move as a breach of Iran’s commitment to the nuclear accord, and a resumption of any nuclear activity by Tehran will also vindicate and strengthen the critics of the nuclear accord who from the outset questioned Tehran’s sincerity and that the Joint Comprehensive Plan of Action (JCPOA) would put an end to the Islamic Republic’s nuclear threat. Rouhani’s call for nuclear marine propulsion technology also comes at a time when regional countries are already concerned about Iran’s expansionist naval ambitions. Last month, the Iranian chief of staff of the armed forces, Major General Mohammad Hossein Bagheri, called for setting up naval bases on the shores of Yemen or Syria. And Iranian Navy Commander Rear Admiral Habibollah Sayyari announced a new plan to dispatch naval forces to sail across the Atlantic Ocean.